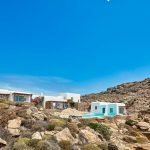 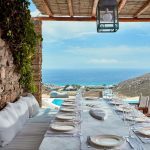 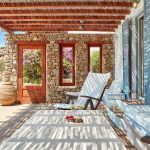 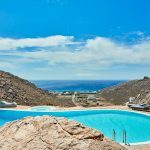 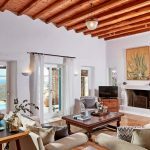 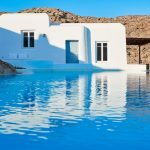 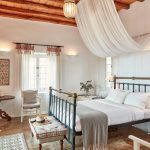 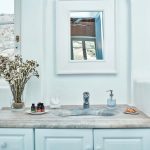 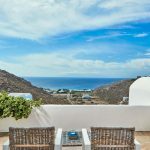 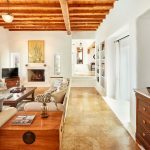 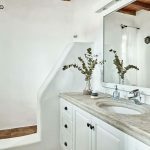 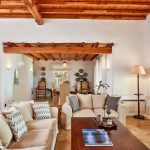 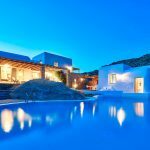 Enjoy a relaxing retreat to this luxurious yet approachable villa nestled atop a hilltop in Mykonos. 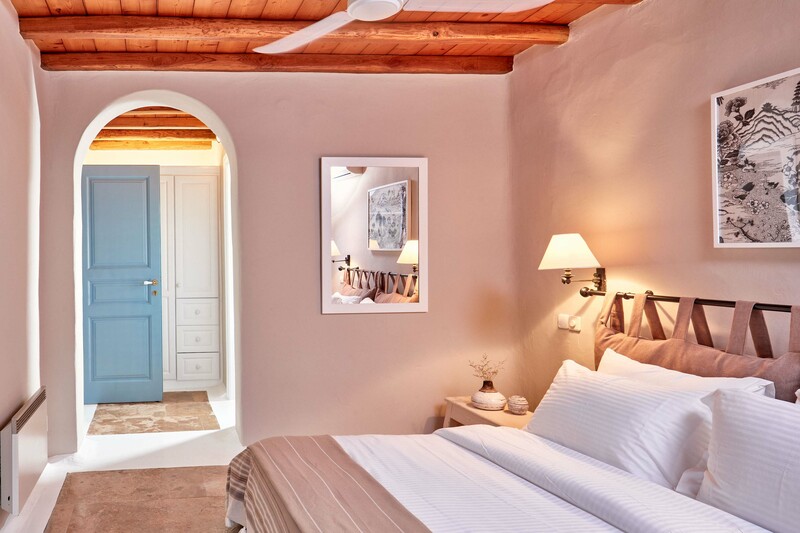 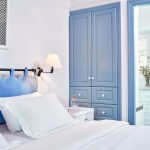 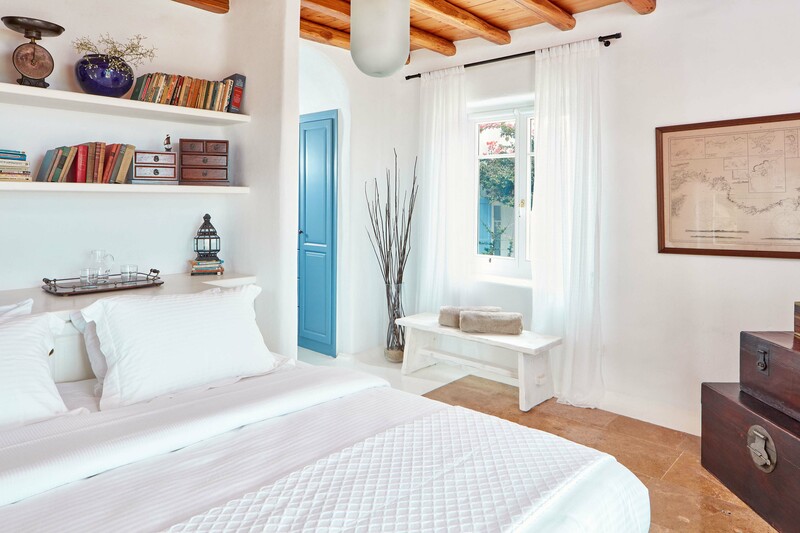 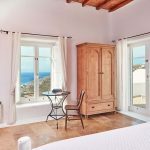 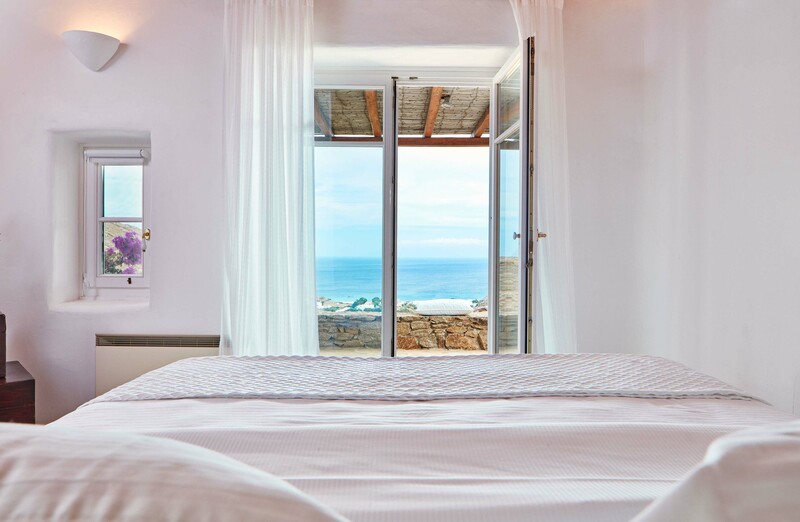 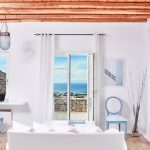 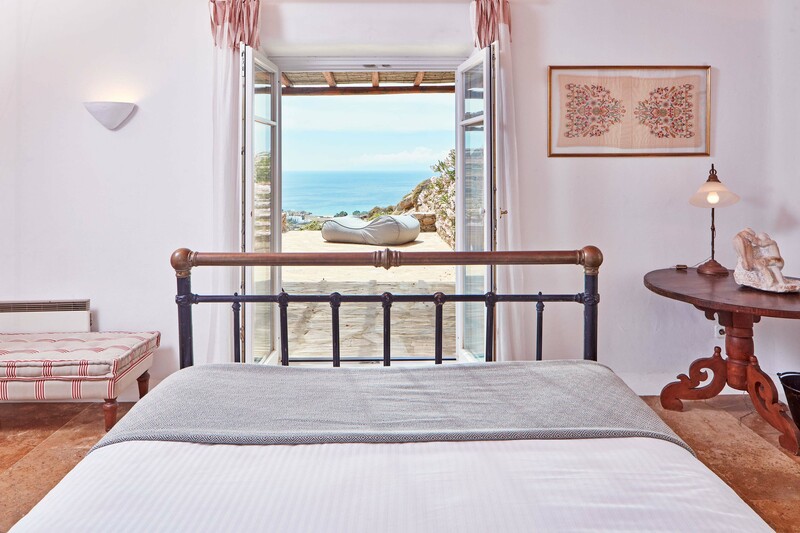 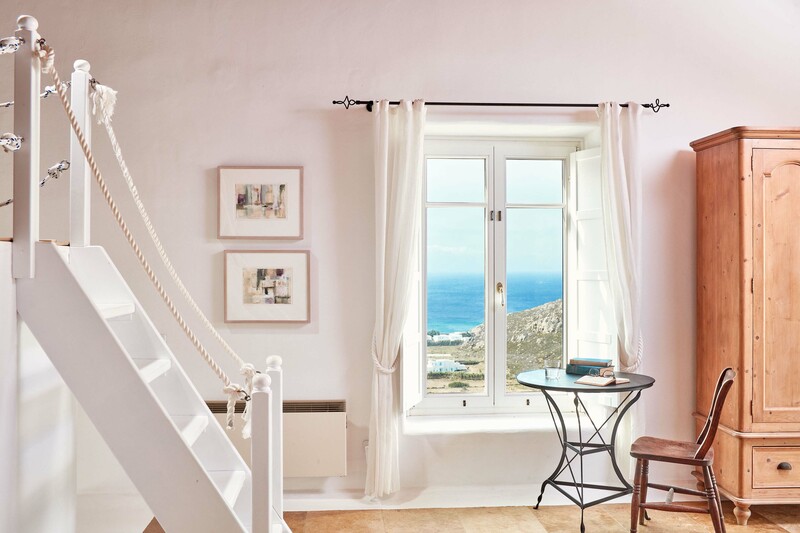 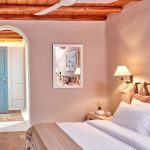 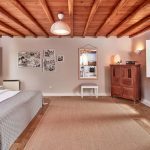 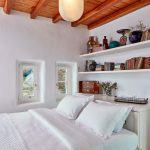 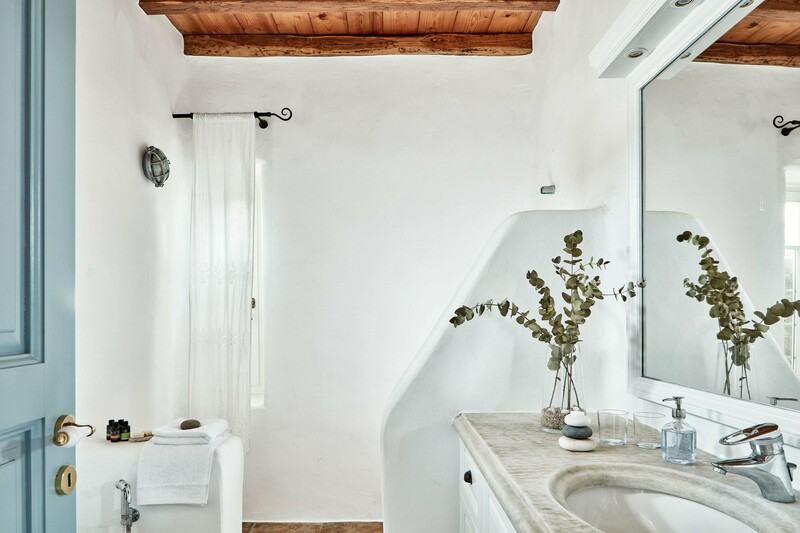 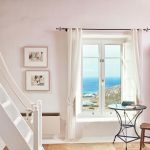 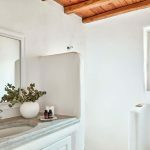 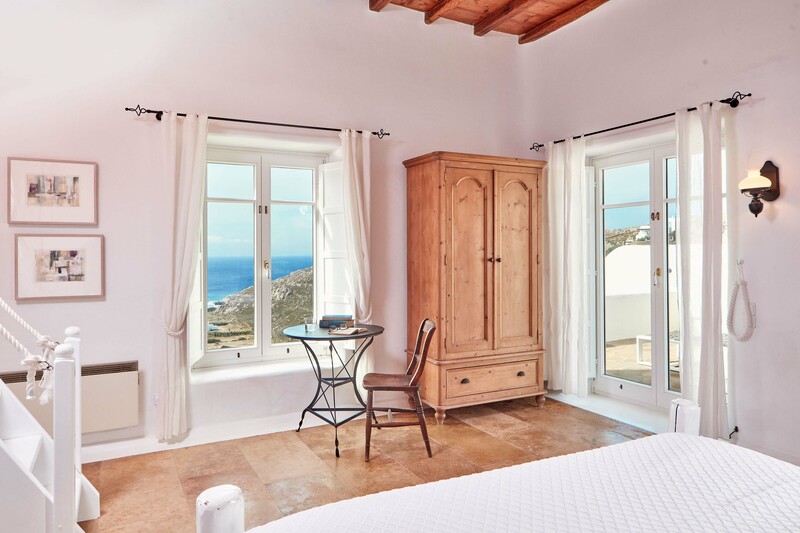 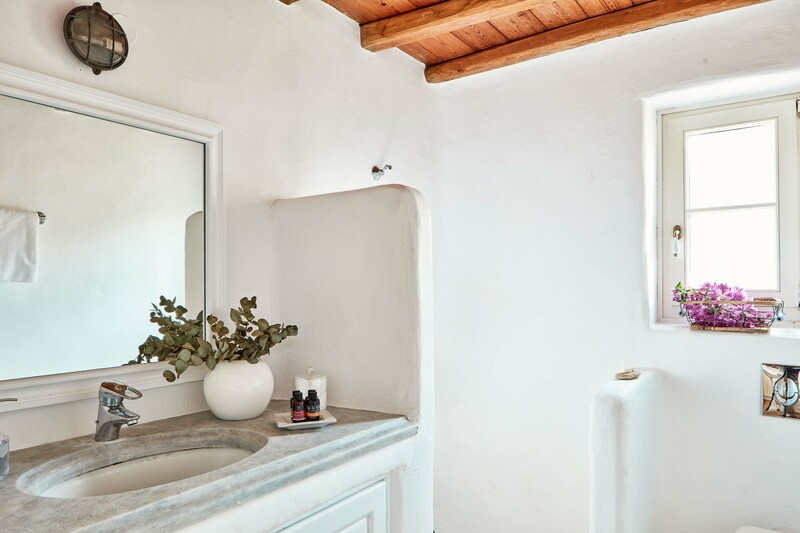 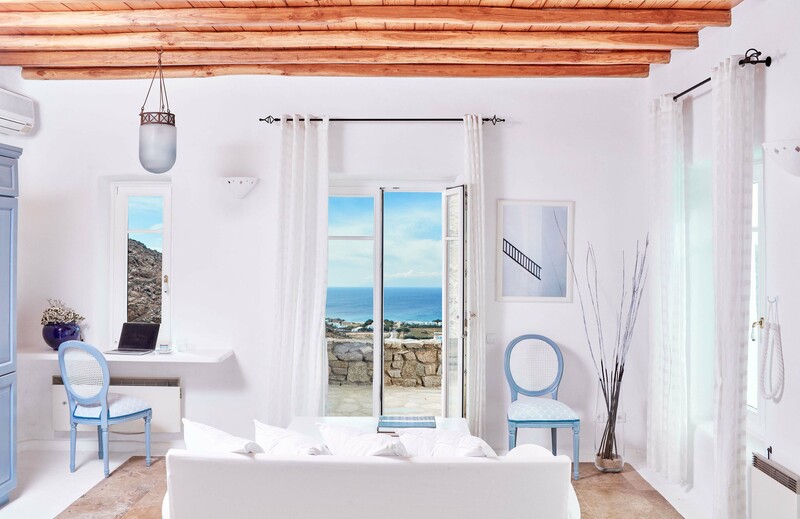 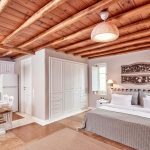 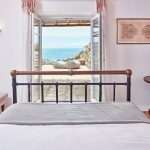 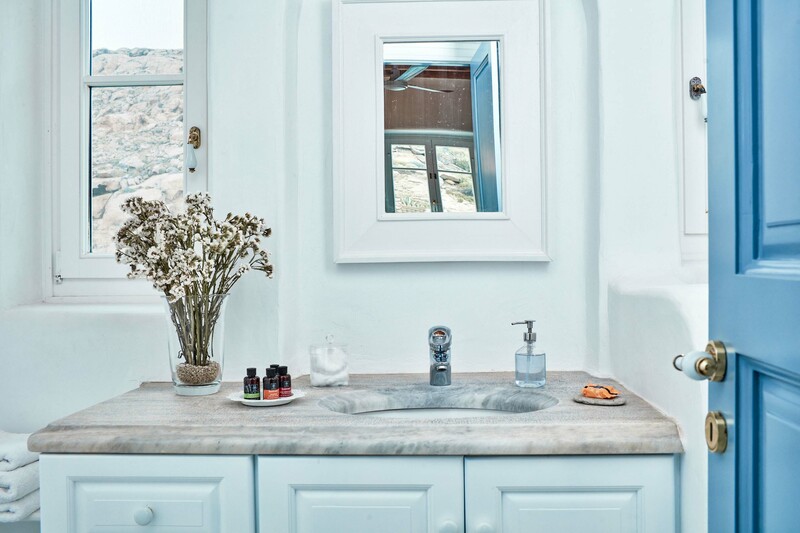 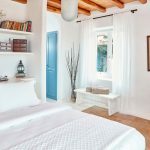 With its spacious and charming interior, enviable location and beautiful views of the ocean, it’s an ideal home during your time in Mykonos. 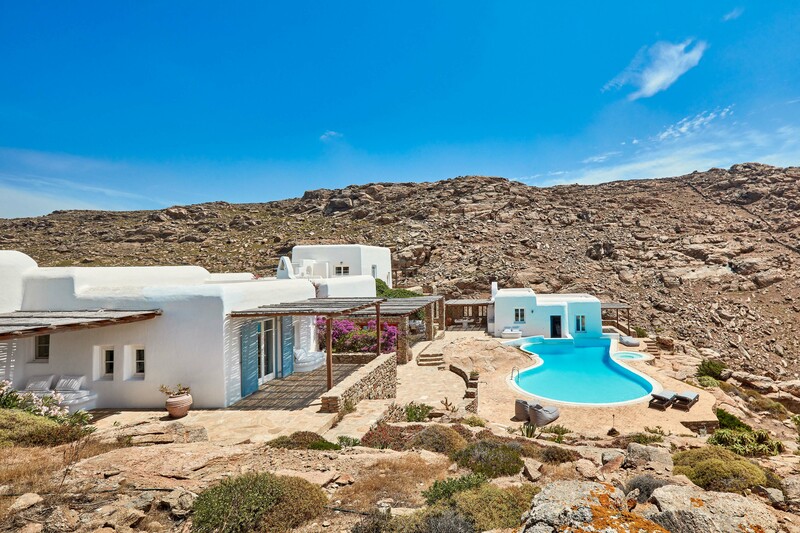 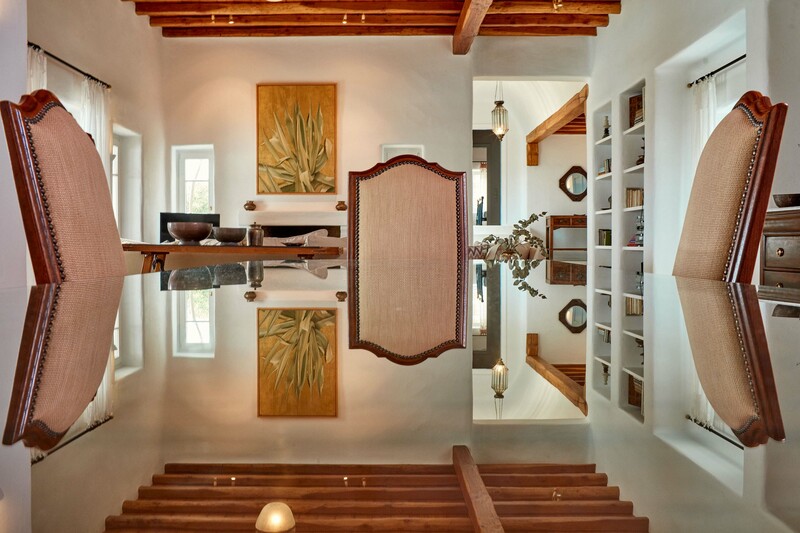 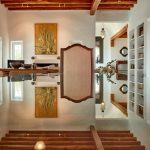 The architecturally designed villa is a true delight to behold, having been recognized by the US-magazine Architectural Digest as one of the most outstanding buildings in its class. 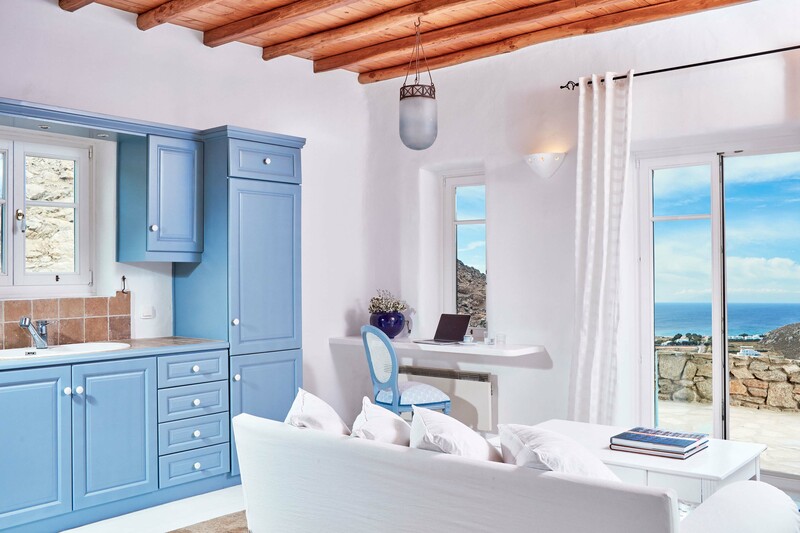 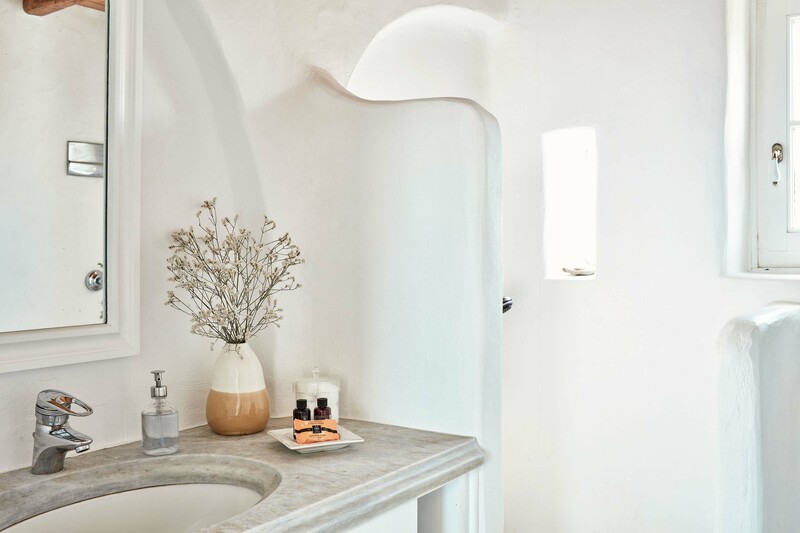 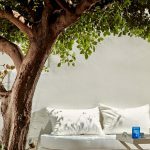 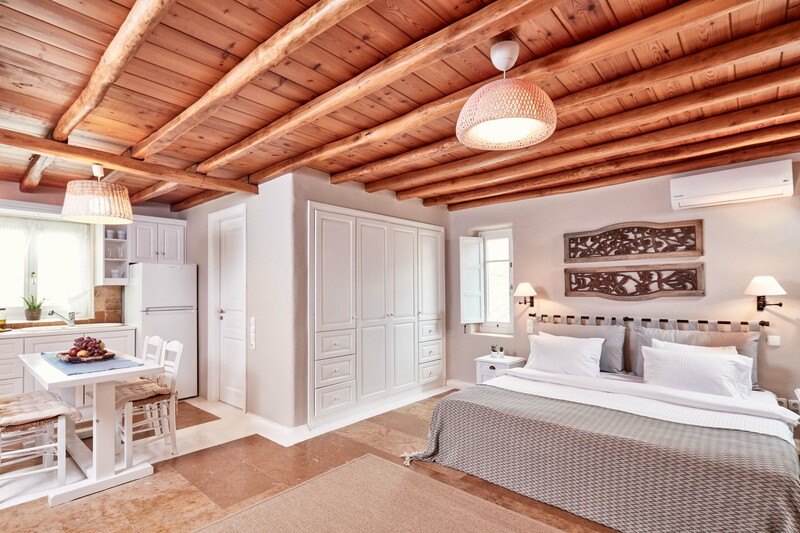 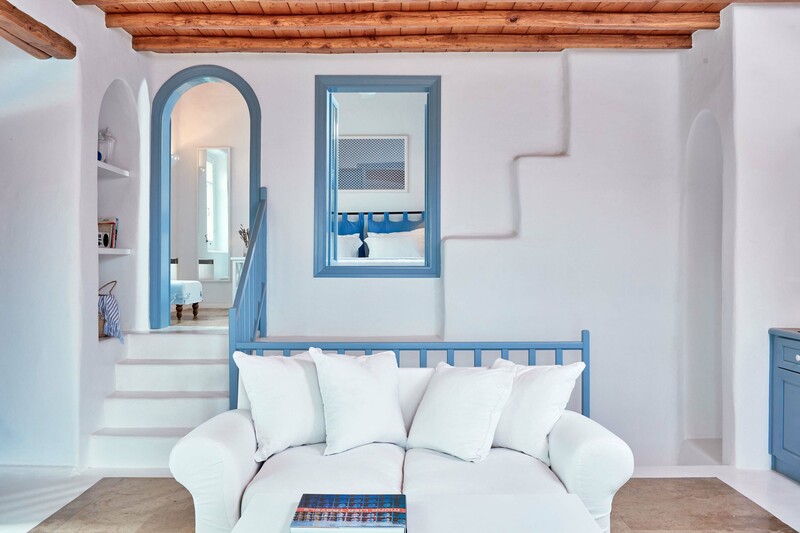 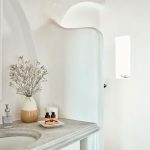 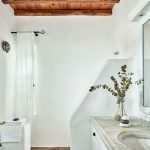 The exterior is true to the architectural traditions of Mykonos, yet with a modern twist so as to ensure that it provides the ultimate in luxury. 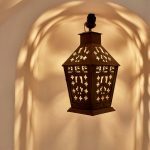 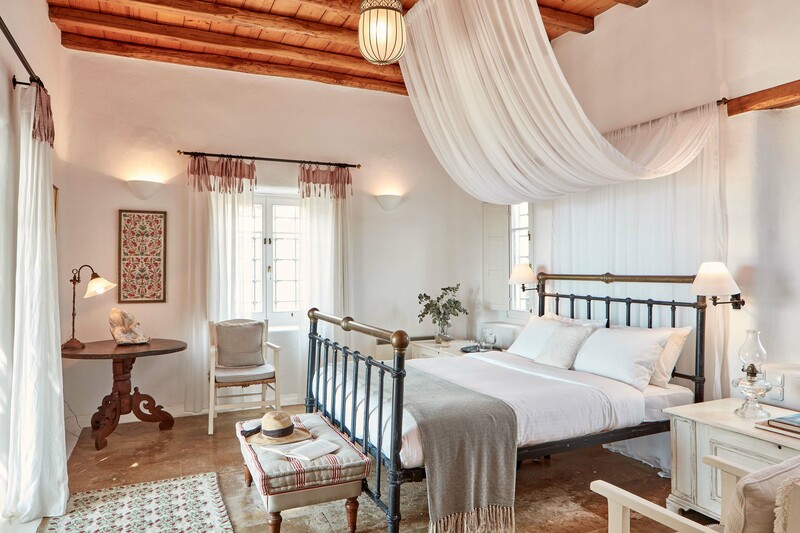 The villa is just as striking inside, with décor that masterfully weaves charm and tradition with modern elegance and style. 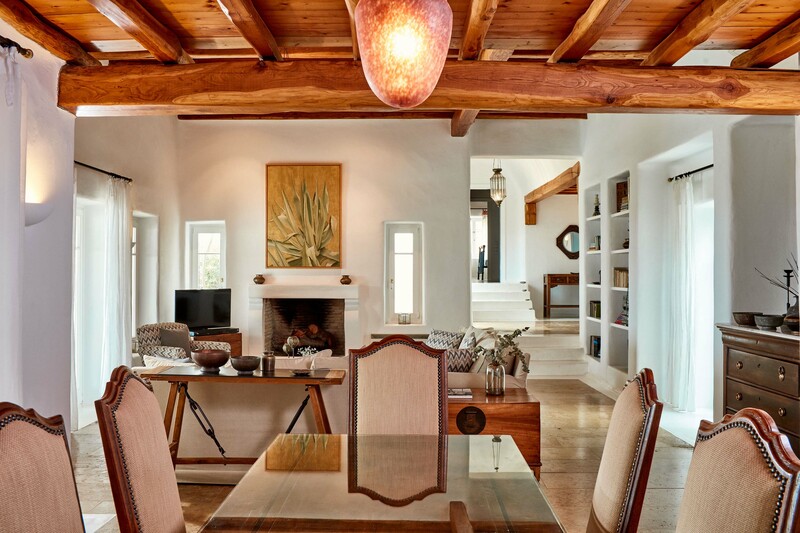 Natural textures including polished hardwood beams and stone accents create a striking base, while the décor is stunning eclectic. 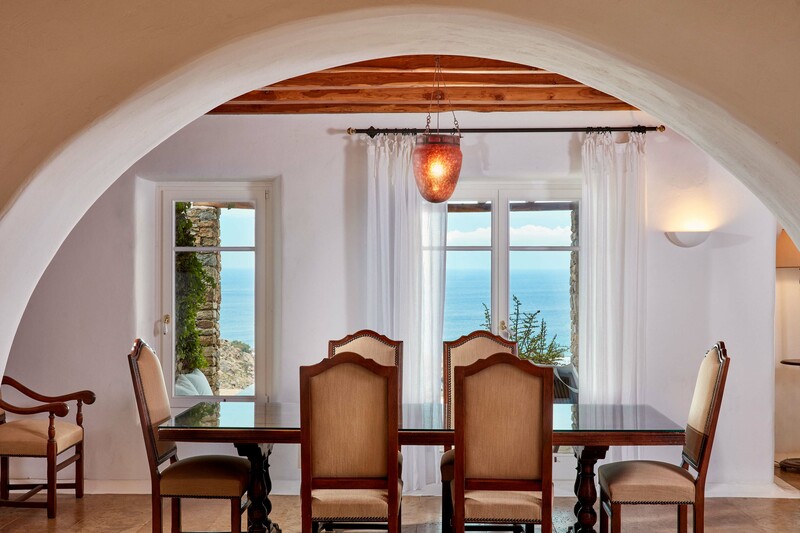 Tasteful, hand-picked accents and artworks add to the overall charm and unpretentious elegance of this beautiful villa, while glistening sea views complete the luxurious experience. 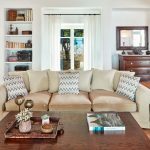 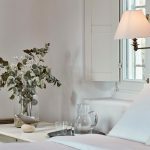 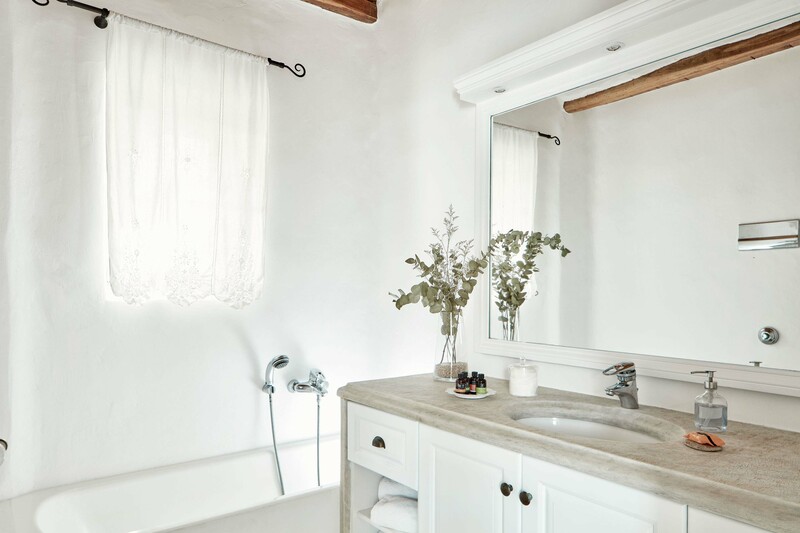 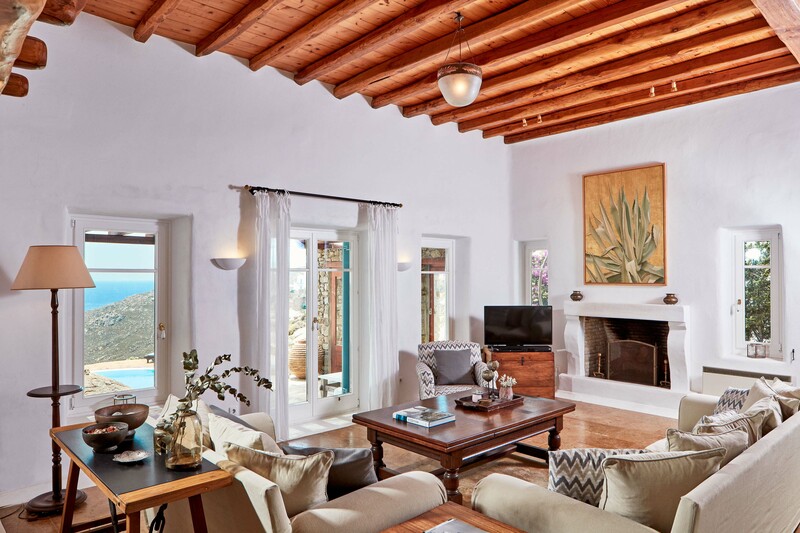 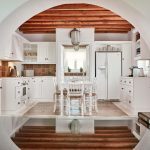 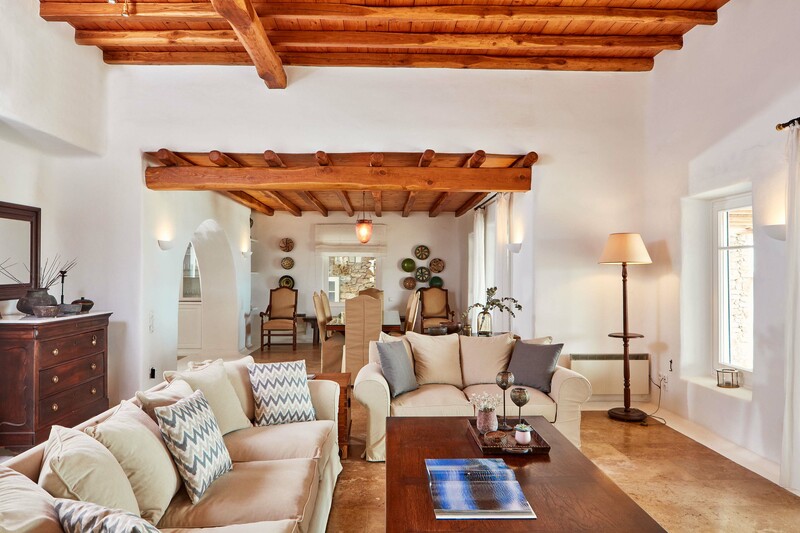 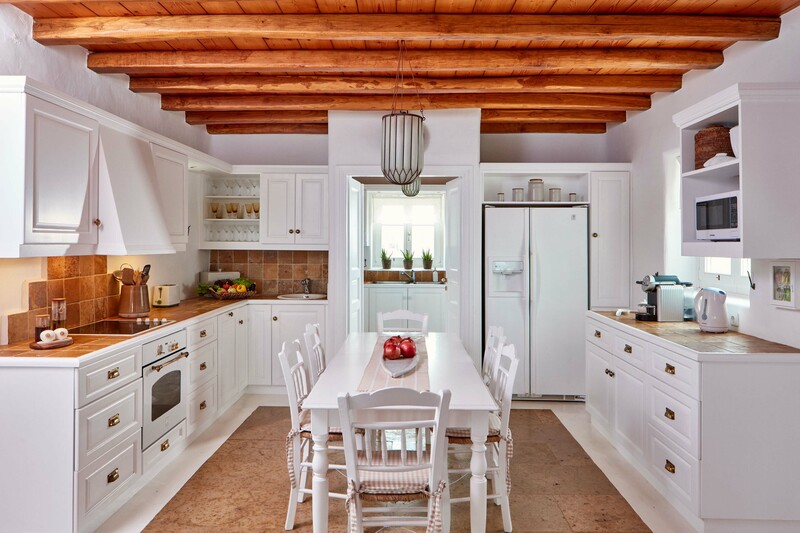 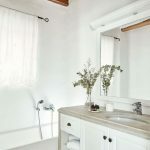 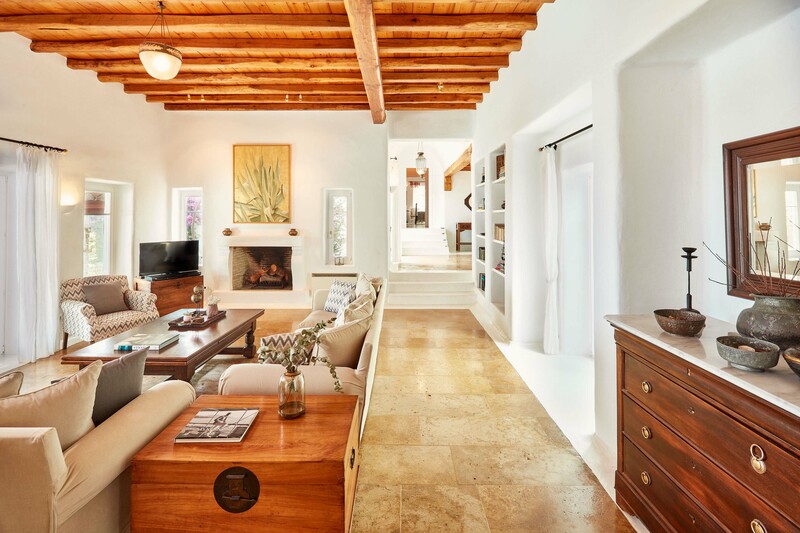 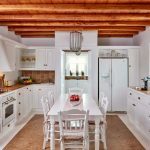 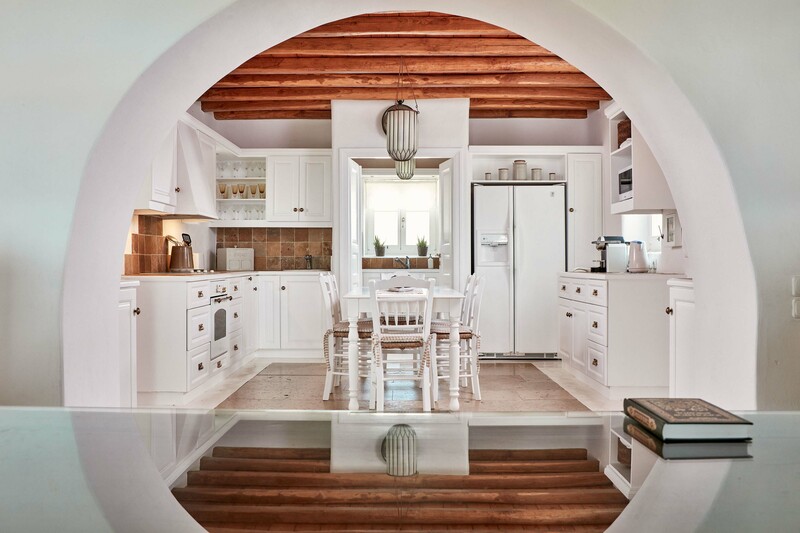 The villa is made up of four self-contained spaces, including the Main House, Pool House, Guest Suite and residence – which each feature their own private living spaces and kitchenettes or kitchens. 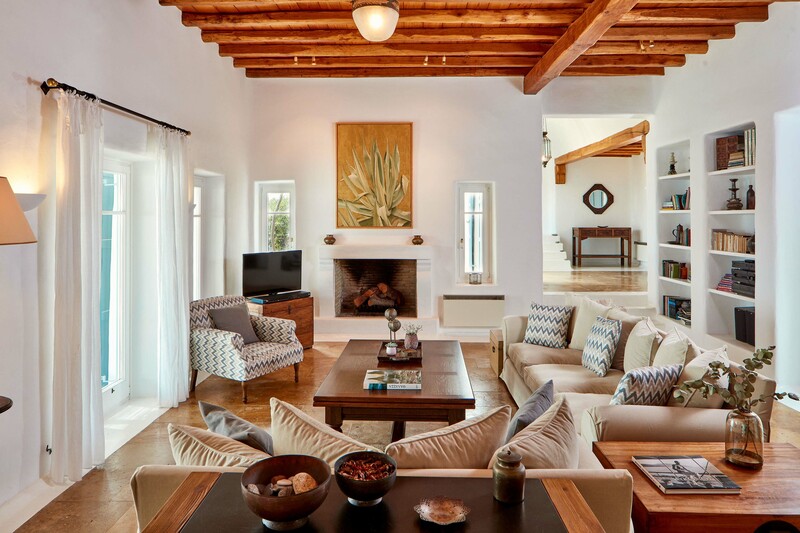 Within the main villa, you’ll find ample spaces to relax as a larger group, such as in the open plan living room, dining room and kitchen. 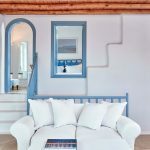 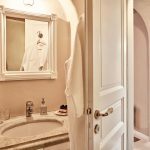 While the villa feels charming and approachable, it is also grand and spacious, with over 600 square meters of living space and over 10,000 square meters of manicured grounds. 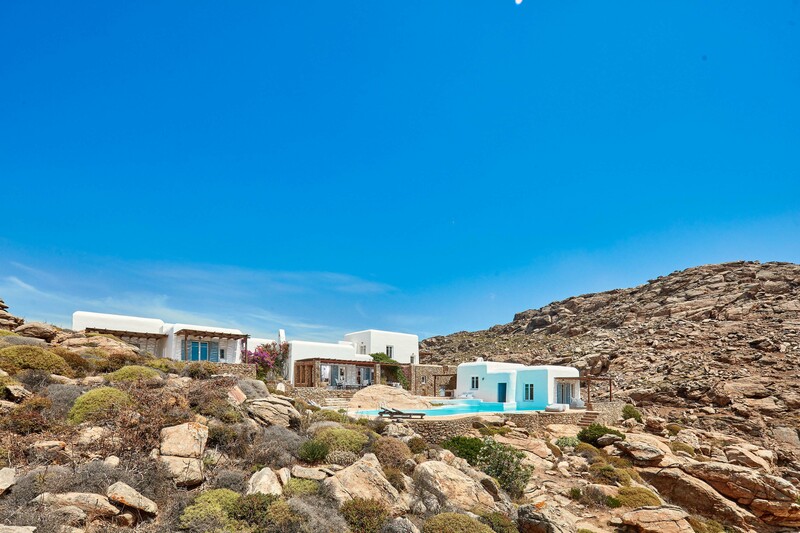 The natural rocks that surround the villa offer natural protection from the wind. 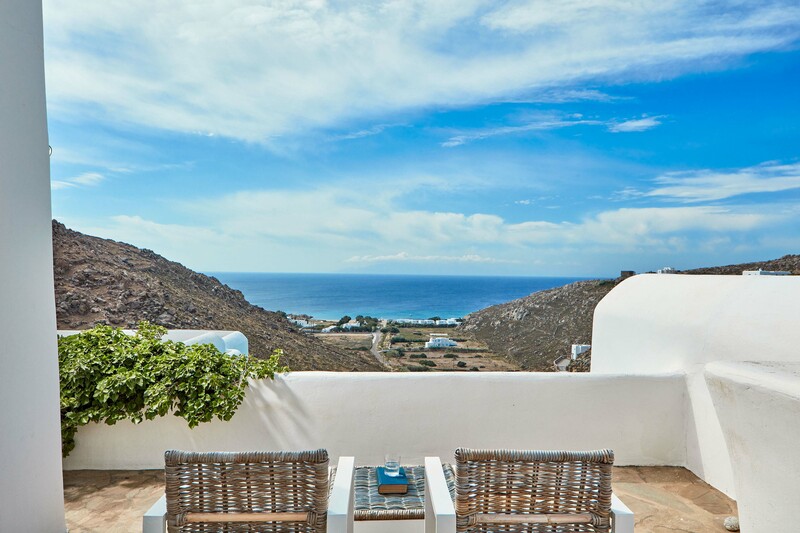 Or, take just a few steps out into the stunning outdoor area, which is a true highlight of Villa Sandra. 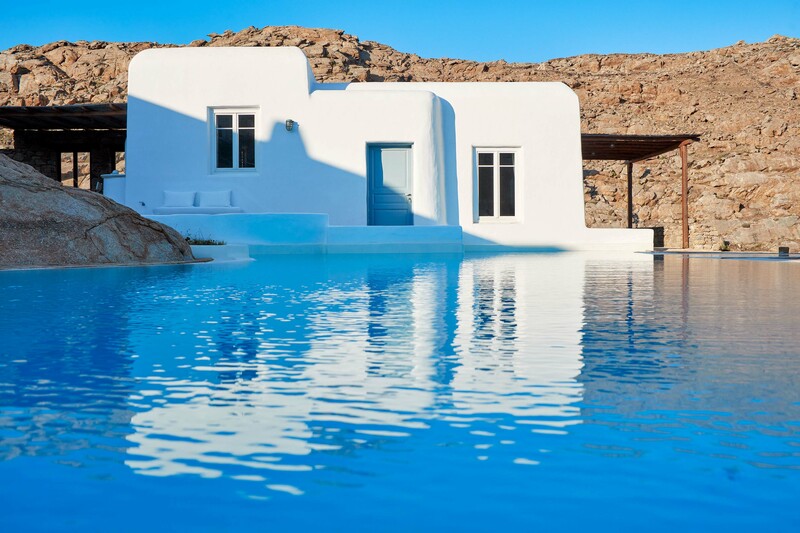 Protected from the winds by rock formations, the lagoon-shaped pool is delightfully secluded and enticing, while a cliff-side jacuzzi is the perfect place to relax. 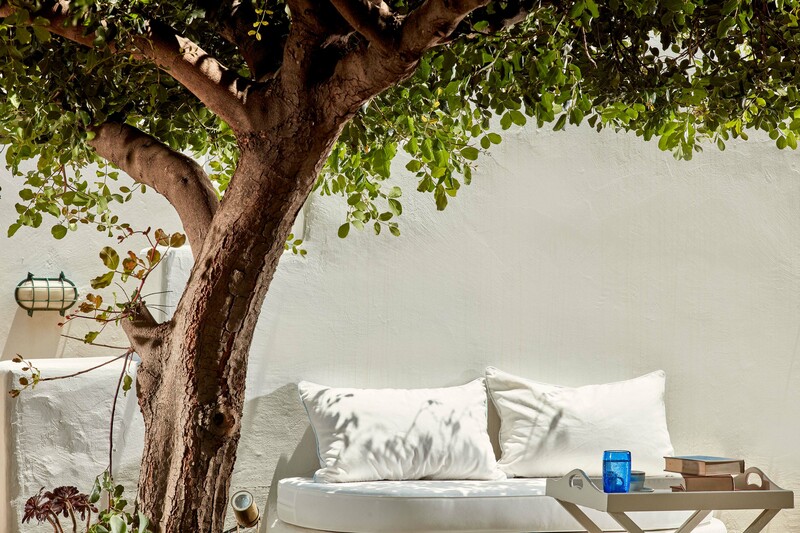 There is also a hidden patio nestled amongst the rocks; just follow the twinkling of lights to find it. 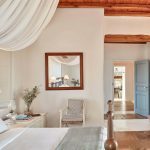 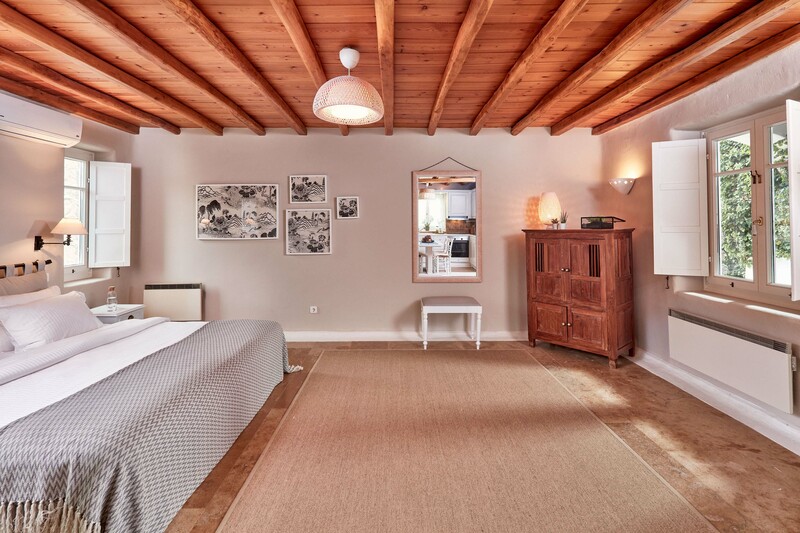 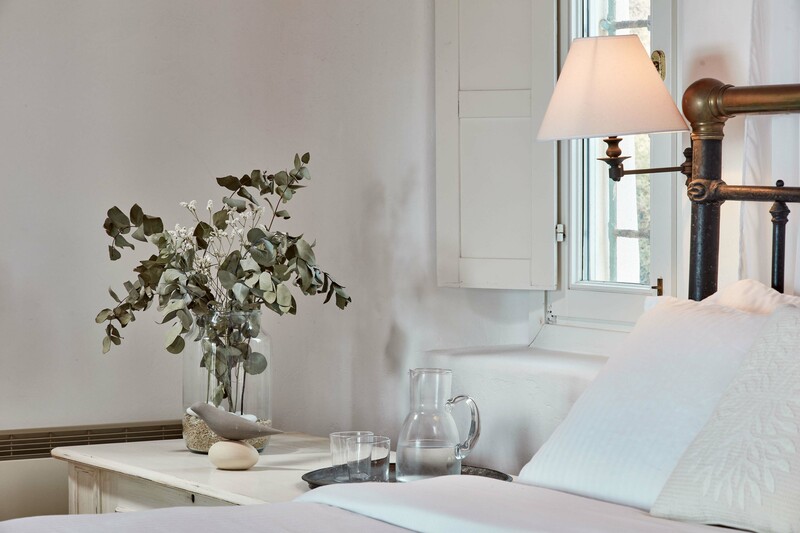 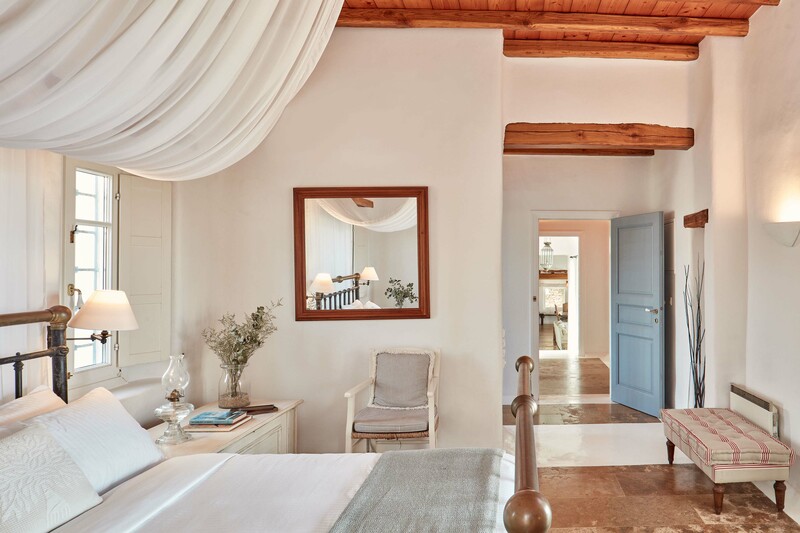 At the end of the evening, retreat back to the stunning villa to find six elegant and inviting bedrooms which are spread out over the six bedrooms. 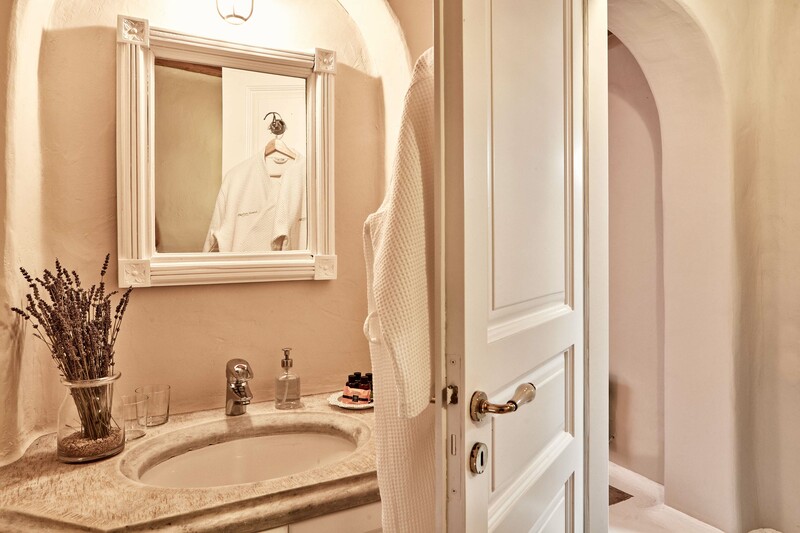 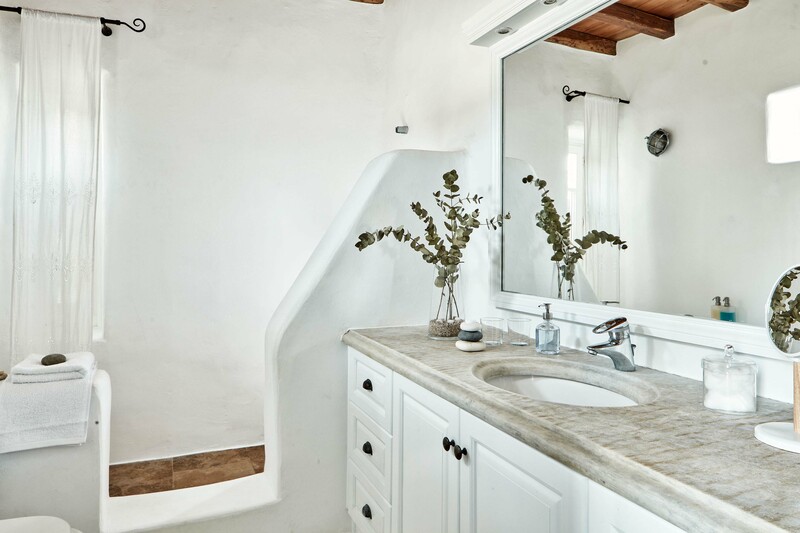 Each one is stylish and modern, with luxe linens and an ensuite for privacy and convenience. 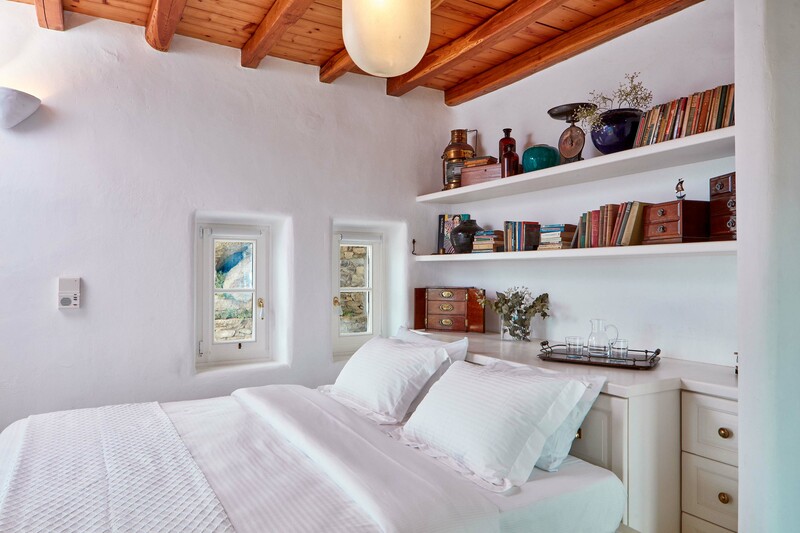 Additional rooms, including a study and loft, offer extra space. 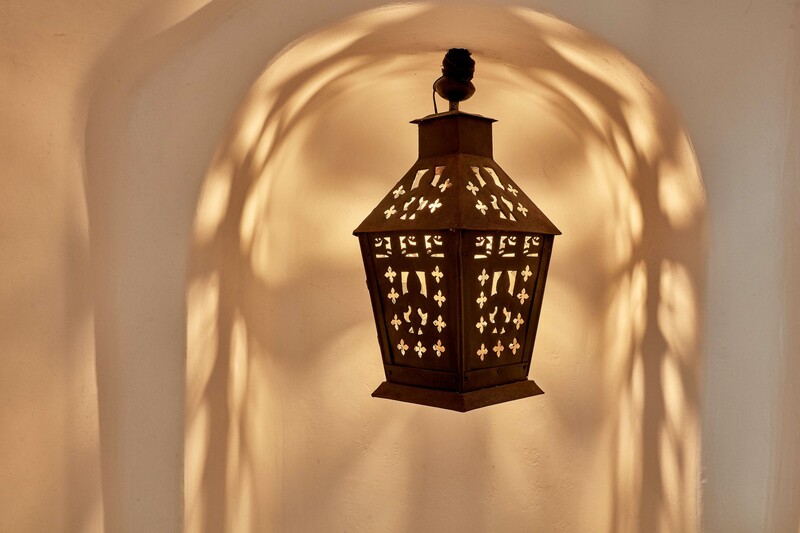 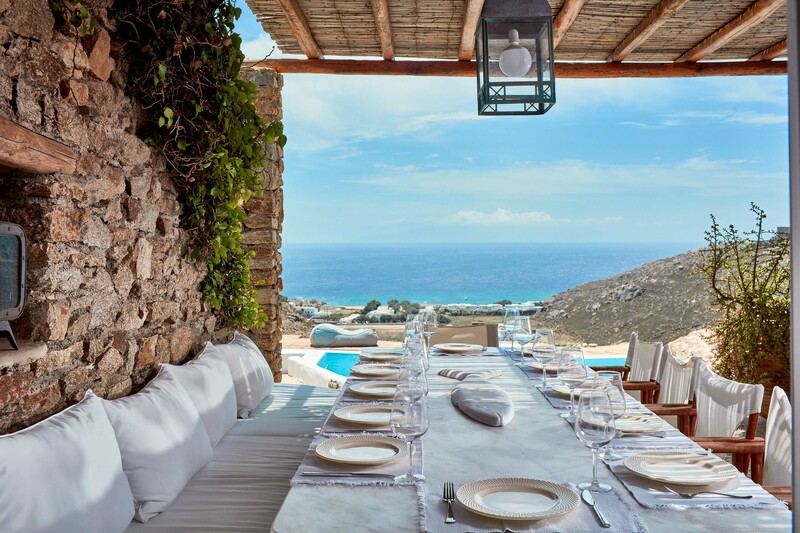 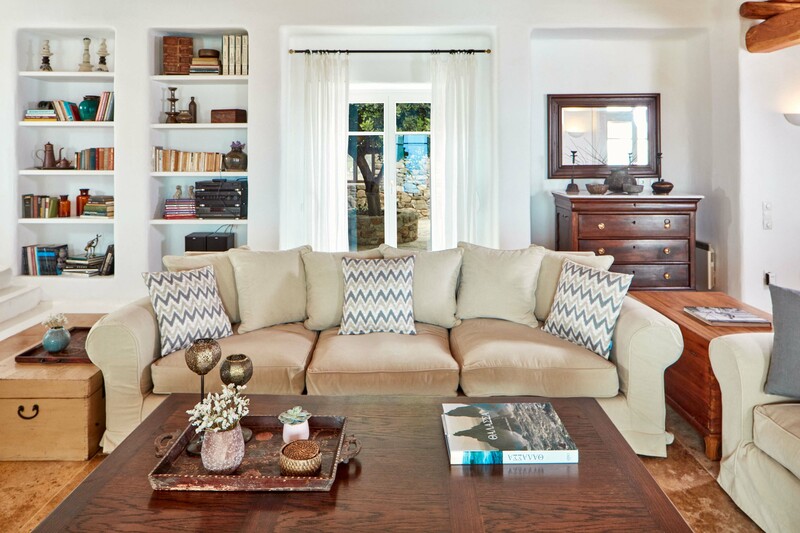 The villa enjoys an enviable location in one of Mykonos’ most desirable and sought-after areas. 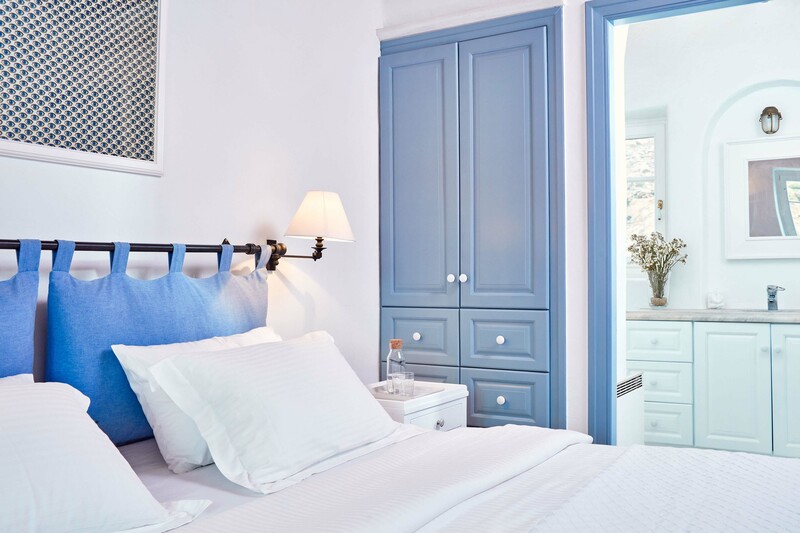 The beach is just a few minutes’ walk away, while downtown Mykonos is a short drive. 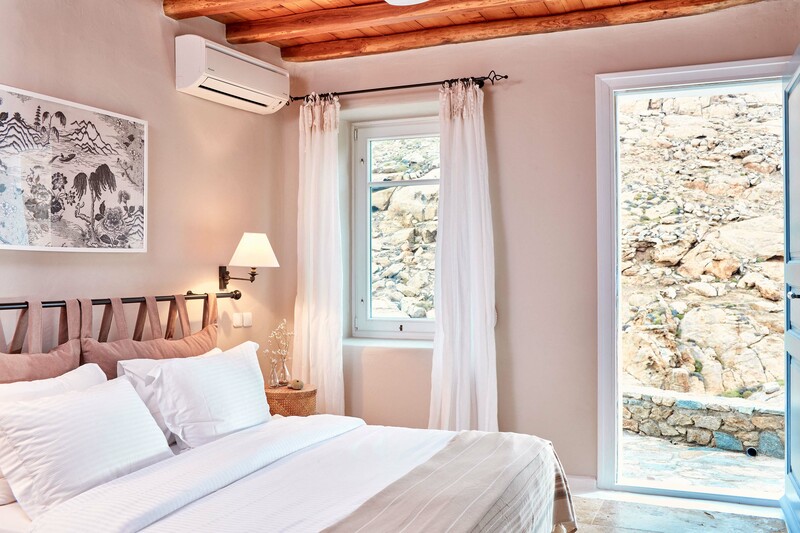 Those travelling with vehicles are sure to appreciate the secure on-site parking, while a security system provides peace of mind.